Welcome to our new segment where we take a look at one of our VOCabs in a bit more detail. SciBite’s VOCabs are a fundamental element of how we transform data. As a scientist, your key problem is semantic ambiguity in text – solve this and you have the foundation for successful text analytics. 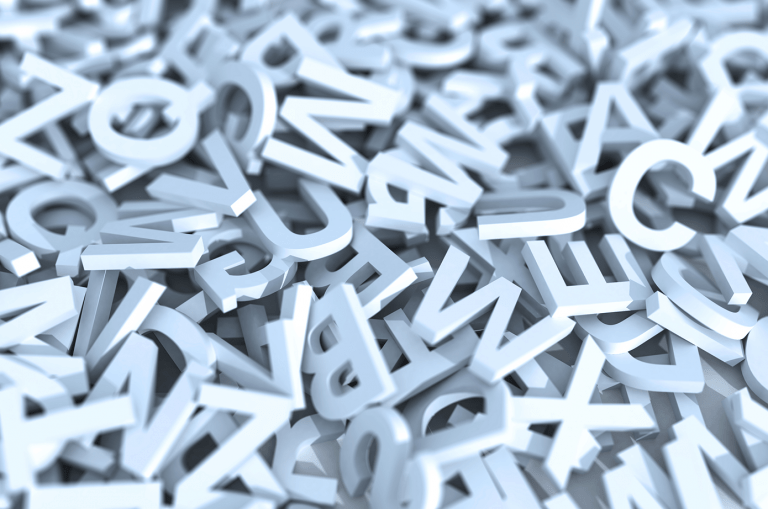 At the core of what we do at SciBite is recognising scientific terms in literature – also known as ‘named entity recognition’ or NER. Enter our critical synonym-rich vocabularies. We base our VOCabs on public ontologies when possible to aid with data integration. These then feed into our powerful TERMite engine. What makes ours so different is that as well as being manually curated and enriched by our own technology, they are far more detailed, with a huge number of extra synonyms than anything publicly available, such as MeSH or MedDRA. So, now we’ve got the background out of the way, it’s time to focus on this week’s VOCabs: please step forward, Food, Nutrient and Micronutrients. 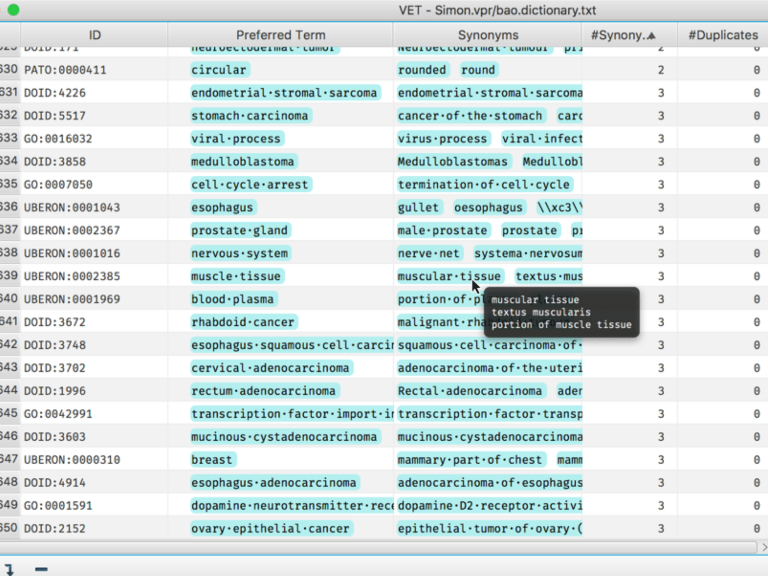 These VOCabs include data from multiple sources, including the US Food and Drug Administration (FDA), ChEMBL and MeSH. We’ve organised and enriched these sources to look for foods reported or implicated in the public domain. Well, the name’s a bit of a giveaway, but it’s always handy to have an example. I was initially going to call this post “Could an ontology ease your migraine?” after reading this article in the Guardian, but thought that was a bit cheesy (no pun intended!). So in honour of the title that didn’t make the cut, let’s imagine you’re a researcher looking into foods that trigger a migraine, or rather, adverse effects of foods which include migraines. 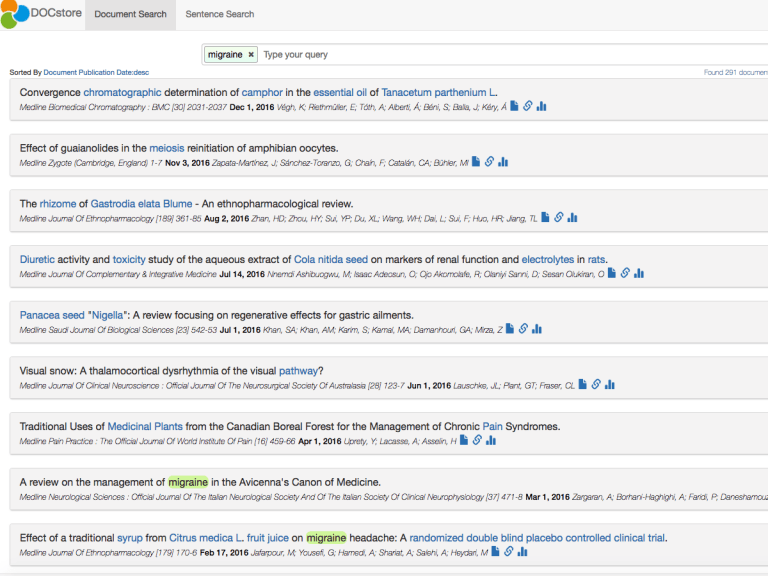 A good place to start is DOCstore, our Elastic powered semantic search engine. In the menu on the right hand side, open up the food facet to show the top 5 ranking foods co-occurring with migraine. Click the blue icon to bring up the full co-occurrence matrix. So now we have a top 45 of co-occurrences and their frequency, and as you can see, unfortunately chocolate is at number 3. To see which papers are linked to each of these foods, you just need to click on each one and DOCstore takes you to a list of them and their links. Very handy. Of course, you’re not just limited to migraines, or even adverse effects, it really depends on how you frame your search – you may be researching beneficial effects of food for supporting health claims, for example. Anything’s possible really. So there you have it – a brief look at our VOCabs of the week, Food, Nutrients and Micronutrients (any excuse to mention chocolate). If you’d like to know more about these VOCabs or any others and how SciBite can transform your data, get in touch with the team. We’d love to hear from you. See you next week for another VOCab! Gaining a deeper insight into rare diseases with our ORPHAN VOCab.